Guess a man needs an upset now and then to remind him that he doesn’t know as much as he thinks he does. It has been such a roller coaster this year so far. 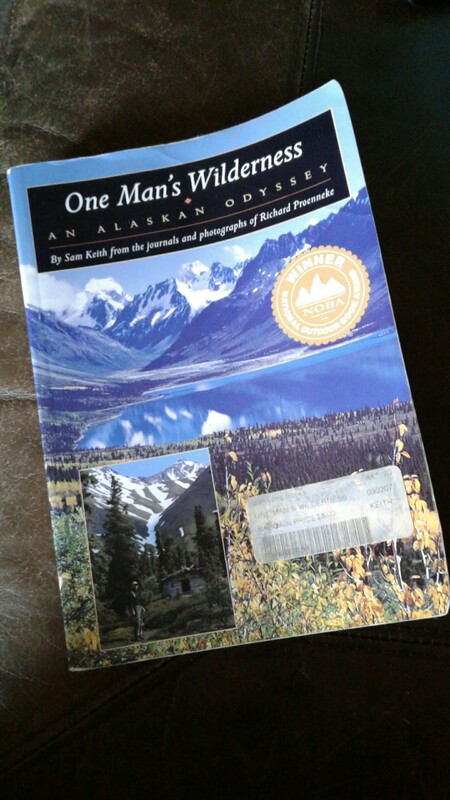 I’ve read One Man’s Wilderness many times since I bought the book on my first trip to Alaska ten years ago. We need these hiccups, especially in our interactions with Mother Nature, to help us remember our place. We are part of the greater ecosystem, not in charge of, despite the common perspective of our culture. Yesterday’s experience with the older lady from south Texas on the ice made the quote stand out further to me. My fear of going down the steep, narrow section of trail, and the woman’s fear of ice and falling, were enough to make me ponder. We each need to get out there and test ourselves. We aren’t all-powerful and we can only conquer what we try. This entry was posted in Alaska, lessons from nature, quotes, winter and tagged books, inspiration by ajswc6. Bookmark the permalink.